Retail point of sale (POS) software provides an easy-to-use tool for employees and customers, helping to complete retail transactions in physical locations (stores, showrooms, etc.). By using POS software, retail employees can find information about products, create sales orders, accept payments, and deliver receipts in an expeditious manner. This helps employees perform more transactions in less time while customers benefit from shorter waiting times at checkout. POS software can also be used to provide information to customers on product availability, pricing, etc. Furthermore, retail managers can use this type of software to monitor retail transactions and analyze sales or inventory data such as volume, amount, or frequency. Some advanced POS solutions may also provide functionality to manage inventory or customer profiles. POS software is usually installed on dedicated hardware designed and built for it. The main benefit of this type of hardware is that it provides users a tactile screen which simplifies navigation. An increasing number of POS solutions are now available on mobile devices such as tablets or smartphones. To deliver maximum efficiency, POS software integrates with ERP or inventory management solutions to exchange data on products, with CRM for customer information, or with other retail solutions such as supply chain and logistics. POS should not be confused with e-commerce software, either, which is exclusively used for online sales. Allow customers to pay using various methods such as cash, credit or debit card, etc. Retail POS reviews by real, verified users. Find unbiased ratings on user satisfaction, features, and price based on the most reviews available anywhere. STORIS is the leading provider of integrated retail software solutions for home furnishings, bedding, and appliance retailers. We have been serving the home furnishings industry for over 28 years. STORIS delivers a solution that enables retailers to implement a Unified Commerce Strategy. Unified Commerce is key to enhancing the customer experience, increasing revenue across channels, and gaining a competitive advantage in a dynamic retail marketplace. STORIS’ solutions are designed to add substantial efficiency across daily operational processes including Point of Sale, Inventory, Merchandising, Logistics, Customer Service, Accounting, Business Intelligence, Mobile, eCommerce, and more. To enhance our technology, we offer ongoing development, consulting, training and support services. As a company, we are committed to our product offering. STORIS continuously sets the industry standard for annual Research & Development. In order to help our clients succeed, we place an emphasis on a positive employee culture, which helps us retain the top talent. POSExpress delivers a sales processing system that supports your sales, inventory, customer management, reporting and security requirements. Yourcegid Retail is a cloud-based retail management solution that integrates a broad range of functionality into a single platform. Aptos Store is a point of sale solution designed to help retailers give consumers exactly what they want and expect: faster and more personalized service supported by better, richer information. AccuPOS is a highly customizable food-service or retail Point of Sale software that integrates with your existing QuickBooks or Sage accounting product. Amber POS delivers integrated inventory management, customer management, advanced reporting, e-commerce integration, and single/multi-store deployment for your business needs. ECRS POS lets you take advantage of available technology while accommodating customer preferences and meeting store space requirements. Epos Now works with almost all POS hardware. Epos Now’s software is perfect for both retail and hospitality businesses, scalable from one device to many. ICVERIFY can help you handle your transactions regardless of their origin, use any connection to process your payment transactions, and multiple users and merchants can be configured in a single installation. U.S., Canada and International payments through encrypted POS, QuickSwipe mobile POS, Ecommerce and Virtual Terminal. POS-J offers a register system backed by a host of powerful administrative applications that is built using the power of Java and designed to allow retailers to operate efficiently in any store environment. Spectrum addresses the typical challenges faced by retailers with capabilities like POS, merchandising, in-store management, logisitics, inventory, customer loyalty, and business intelligence. 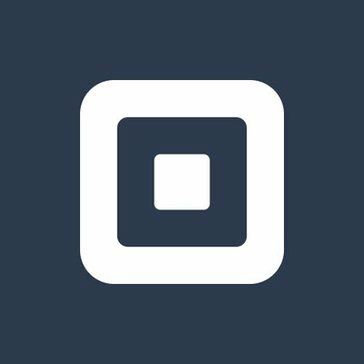 Bindo POS is an iPad POS that helps local businesses by bringing brick and mortar sales, e-commerce, and mobile commerce to the point-of-sale. CardWatch provides multi-company, multi-location, and terminal management in a graphical touch screen user environment to ensure comprehensive sales control through a variety of cost effective hardware deployment options. COMCASH POS is a fully integrated Cloud Retail suite that captures sales from every channel and seamlessly manages multi-location inventory where retailers can manage their omni-channel business from a single database system. EasyPOS is beautiful Free Online POS software, inventory management & loyalty management software. Trusted by thousands of stores worldwide. Get started free today. Easily alter prices, special offers, stock levels across all your stores, instantly. FreedomPay is a white label commerce platform that helps you connect the world of commerce smartly, securely and helps companies to understand, unlock and unleash the in-store, online and mobile commerce. FusionPOs is for retailers wanting to leverage your accounting system to provide centralized management in highly distributed retail environments. Point of Sale Solutions. Get your business up and running with top-of-the-line tools. Our point of sale solutions are tailored to meet your needs because your business is one of a kind, and we believe your POS system should be, too. Infinity uses bi-directional technology to synchronize individual databases at POS, back office, and head office in real time. Connect is a premium epos system designed to manage all facets of your retail business. From easy to use till software to full integration with web based sales platforms, we have designed this multichannel retail system with one simple goal in mind, to make it easy for the retailer. Why Use Retail POS Software? Who Uses Retail POS Software? Every business requires a way to exchange money for goods and services. Typically, that process happens at a cash register, but these transactions are increasingly handled by POS software installed on a PC or mobile device. Granted, these devices will need to be connected to a variety of hardware such as a receipt printer, cash drawer, credit card reader, or barcode scanner to be fully functional. However, more and more POS software providers are offering POS terminals that house a tablet to run the POS solution as well as hardware to read credit cards and hold cash. For a small business, a POS solution may provide a variety of features to help run a retail store. The software may provide real-time inventory management, basic accounting, and other back-office functions. Some may include loyalty programs and the ability to create and redeem gift cards. Integration with an e-commerce platform is also common, to maintain accurate inventory information. While much of the functionality is similar, retail POS software lacks many of the restaurant-specific features included in restaurant POS software, as it is built specifically with retailers in mind. Retail POS software provides retail business owners with tools to manage transactions and organize their business on the back end. Retail POS systems help business owners with inventory control, customer loyalty, credit card processing, accounting, customer service, and even employee management. While eliminating the use of cash registers removes much of the manual accounting and inventory management, retail POS software has the added benefits of creating reports and providing analytics based on sales data. For a small business looking to grow, this kind of information can be invaluable. Mobile POS solutions can also be a huge help for small-business owners who don’t necessarily own a storefront but do want to be able to process credit card payments in person. POS hardware that can plug into a mobile phone or tablet can allow small-business owners to create mobile shops for farmers’ markets, trade shows, conventions, craft fairs, and more, all while capturing the same data. Retail POS software is primarily used by retailers and their employees. Online retailers can also benefit from retail POS software, particularly if they also own a storefront. Store owners and managers will be most likely to utilize the back-office features such as accounting, employee management, and inventory management. While many of these functions can be performed using dedicated software solutions, the advantage of retail POS software is that many of these various features are bundled within a single platform. Retail employees will primarily use POS functions to ring up customers, restock shelves and displays, and manage customer loyalty programs. Depending on the size of the store and the number of employees, businesses may want multiple terminals running the same POS software. Single-person businesses may run a retail POS system on a mobile phone or tablet to create a mobile business that doesn’t require a dedicated storefront. They may also want to use retail POS software to manage an online store if their focus is not mainly in-person transactions. Generally, POS systems are divided by the industry they service. Given that there are hundreds of different kinds of retailers, it stands to reason that there are hundreds of kinds of POS systems. Oftentimes, POS systems are rolled into industry-specific platforms. Hotels, for instance, will have POS functionality built into their hotel management software. These platforms will be able to do much more than simply process guests’ payments, but a crucial part of running that hotel will require POS functionality. Many standalone retail POS systems can be used by any industry. While the needs of certain industries (such as the restaurant industry) may be specific, most retail POS systems are flexible enough to be used by any retailer. Inventory Management — Any business that sells physical goods needs some kind of inventory control system. With a retail POS system, users can track inventory in real time as transactions are made. Each transaction deducts the purchased goods from the available inventory, so at the end of each day or week, managers can see what needs to be restocked and what is not selling as quickly. If a business runs a storefront in addition to an online store, the software can keep track of the total inventory and ensure that orders are not processed without the necessary items. Accounting – Accounting software is the backbone of many small businesses, but retail POS software often contains accounting features to help smaller businesses stay organized. With financial information and inventory data in one place, users can create accurate budgets and forecast growth based on real data. Keeping accurate records is incredibly important, and having all that information available digitally saves a lot of time sorting through receipts and invoices come tax season. Employee Management – Scheduling employee shifts and organizing the training of new hires can take up a lot of a store manager’s time. With features that help create balanced employee schedules and standardized training timelines, users can spend more time on important tasks. While not all retail POS systems will contain this feature, the option may be important to small business owners or businesses with a lot of employee turnover. E-Commerce – Purchasing items online has become the norm, if not the default, so creating an online store should at least be on every retailer’s radar. Many retail POS systems now integrate with e-commerce platforms, if they do not provide the tools to create an online store within their own platform. With in-store and online inventory data stored in one place, there’s no fear of overselling within either platform. Loyalty Management – Building and retaining a customer base is crucial for any retailer. A loyalty program encourages customers to return and entices lapsed customers to become re-engaged. Loyalty management software features make it easy to create and enact a program that works for each specific business. For instance, by linking a customer’s profile with their credit card, the system can automatically apply a discount when a frequent customer makes a purchase without requiring the customer to provide a punch card or coupon. Credit Card Processing – In an increasingly paperless world, credit card transactions are becoming the norm, for better or for worse. Retail POS software makes it easy to process these transactions by either using their own credit card processors or partnering with a third-party credit card processor. While there are nearly always fees involved, they are typically small (two to five percent of each transaction) and an understood price of doing business. Reporting and Analytics – Insight into one’s business is a crucial piece of the puzzle when planning for success. Many retail POS systems provide reporting and analytics features so business owners can get an end-to-end view of their business and know exactly where they are succeeding and where they need work. Based on customer and purchase information, these reports and analytics can help businesses save money on inventory and help plan and create growth. Email Marketing – Marketing is often a deciding factor behind the success of a business, so the fact that some retail POS systems have email marketing software features can make a huge difference. With the ability to collect email addresses at checkout, business owners can then create newsletters or email promotions for customers all within the POS platform. Mobile technology is a huge overall trend, but within the retail POS ecosystem, mobile point-of-sale technology is making these systems accessible for even the smallest business. Mobile POS allows businesses to operate using a mobile device or tablet instead of a cash register. This helps the business itself become mobile, since the only equipment required may be a mobile phone and a credit card reader. Small businesses without storefronts become more empowered to grow their business, since they can operate similarly to a storefront, without all the costs associated with renting a storefront. Restaurant POS Software — Restaurant POS software operates very similarly to retail POS software, but includes features specifically catered to the restaurant industry. While retail POS software may be used for quick service restaurants or premade food vendors, restaurant POS includes table management, kitchen ticket creation, menu planning, and more. E-Commerce Platforms — E-commerce platforms are built specifically to house online stores and businesses that operate solely online. While retail POS systems may include the ability to create an online store, e-commerce platforms contain everything a business would need to sell items online. Hi there! Can I help you find the best Retail POS solutions?